Education Minister Myron Walwyn has been praised for the British Virgin Islands’ accomplishment in the 2017 Caribbean Examinations Council (CXC) exams. The BVI was ranked at the top of the Organisation of Eastern Caribbean States (OECS) for having the most students to sit five or more subjects in the CXC exams last year. CXC’s Chief Executive Officer Dr Didacus Jules lauded Walwyn for the accomplishment. 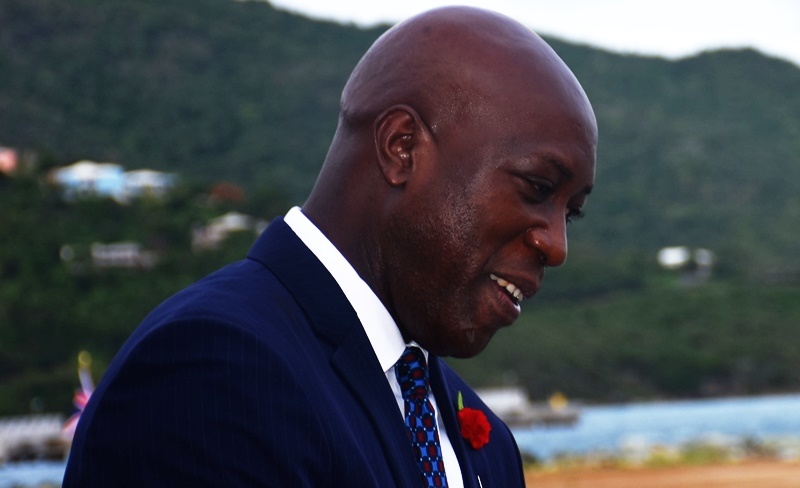 “Congratulations to Minister Myron Walwyn for his visionary and bold initiative in optimizing BVI’s engagement with CXC,” Dr Jules said on social media recently. Walwyn had announced recently that 95 percent of BVI students sat five or more subjects including mathematics and English at CXC. He made the announcement following an Organization of Eastern Caribbean States (OECS) Council of Ministers of Education meeting held in Martinique. I wonder why the other site hasn’t picked this up? It should be passed not sat. You do not get recognized for sitting exams. You get recognized for psssinh exams which is what the BVI is being recognized for. Our students really did well and we should all be very proud. I don’t think you should advertise that you are a secondary teacher especially when you lack understanding! !! The article said “sat” not “passed”. 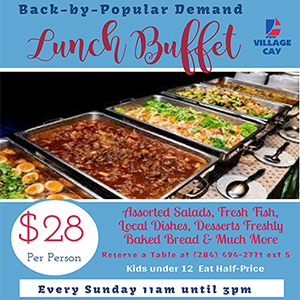 Like a previous blogger correctly noted, the BVI is being recognized for giving CXC the most money! I think most persons didn’t see the word “sat”.You are so correct! Listen…and Listen Good. Yes. Permanent Secretary Mrs. Marcia Potter and all the Educators who work tirelessly toward trying to improve our Educational system should be acknowledged and supported generously for their research and work. However, when we have these external entities praising any politician, it becomes highly suspected. Of course, Mr. Jules and the others of late, who have been blowing their trumpets lauding the initiative, have a reason to do so. “Optimizing BVI engagement” for the initiative is in essence- optimizing Caribbean Examination Council causes and revenue agenda, of which they are apart. So quite naturally- greasing the “piper” is highly encouraged to keep their ultimate agenda flowing. Yes. It is a start, but Pleaseeee!!! All of You’ll throughout the Caribbean- Stop playing politics with our children’s education for you’ll personal agendas. If we are teaching our children to fully “adopt” (not adapt) to these standardized test, let us make sure they are not being conditioned and robotized in the process, teach solely for tests purposes; and as a consequence, if so, they are still not capable of thinking deeply, critically and holistically for themselves as individuals, with independent minds. If we are truly serious about developing a healthy country- moving forward, we do not need any more clone-like mentalities who have been conditioned to just accept the status-quo without challenging its authenticity. Advocate for a more Multiple Intelligences Foundation in our curriculums. So, we repeat- Stop playing politics with our children’s education. And this goes for all manipulators in high and low positions of influence throughout the Entire Caribbean Diaspora. These comments are neither for, nor against, the minister of education, but rather towards suggesting to all with positions of influence to tread lightly with any political tactics in education when it comes to the harvesting of the minds of our young ones for the future. Of course, Mr. Jules and the others of late, who have been blowing their trumpets lauding the initiative, have a reason to do so. “Optimizing BVI engagement” for this initiative is in essence- optimizing Caribbean Examination Council causes and revenue agenda, of which they are apart. So quite naturally- “gasing-up” the “piper” is highly encouraged to keep their ultimate agenda flowing. Capitalism always have a funny way of encouraging direct praises to those who have direct influence or control of the purse strings, especially when it is being easily subsidized by hard earned tax payers’ dollars. If we are teaching our children to fully “adopt” (different from adapt) to these standardized tests, let us hope they are not being conditioned and robotized in the process just towards test taking; and as a consequence, if so, they again, turned-out to be still not capable of thinking deeply, critically and holistically for themselves as individuals, with independent minds.